Some of you may be familiar with the “Inner Game” books by Timothy Gallwey. His books focus on ways to win the “game” whether it’s for work, sports or music. Gallwey believes there are two factors that affect your performance : your potential and your interference. Simply put, your potential is your innate talent or ability, while interference is anything that hinders your potential. This interference is mental, or internal – it’s the voice inside your head whispering doubts and causing you anxiety. Who hasn’t worried before an final exam whether you have studied enough, whether you remember anything at all! Who hasn’t had nightmares of discovering that you have completely forgotten everything and all you can do is stare blankly at the words on the paper? Similarly, who hasn’t suffered some sort of performance anxiety when playing a piece or singing a song in front of an audience? 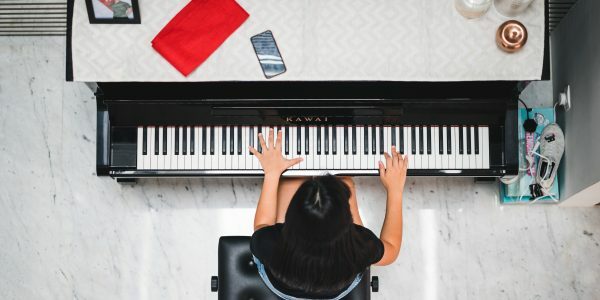 No matter how much you may have prepared, practiced, and memorized, every musician has experienced moments where they fear they will let everyone and themselves down by failing the performance, or fumbling on their solo, or losing their place in their music. These fears can be disconcerting, and sometimes crippling. What can you do about this inner war, and how can “win” by playing without any interfering thoughts? The Inner Game of Music by Barry Green and Timothy Gallwey suggests helpful and practical tips to help any musician perform to the best of their ability by ignoring, decreasing, and eliminating this internal interference. Over the next couple of weeks, I will be posting suggestions and explanations to the book as it relates to musical performance, and hopefully this will be helpful to those who are anticipating near future performances or recitals. I also look forward to your comments and any suggestions!